SAN FRANCISCO (KGO) -- Muni service in San Francisco is getting back to normal after a suspicious briefcase on one of the platforms stopped all the trains. Police closed down the Church Street station just after 8 p.m. on Sunday. Businesses and people who live in the area were asked to stay inside as the bomb squad and bomb sniffing dogs checked it out. Eastbound Market Street was also closed to traffic as officials continued their investigation. The station reopened just before 10 p.m. 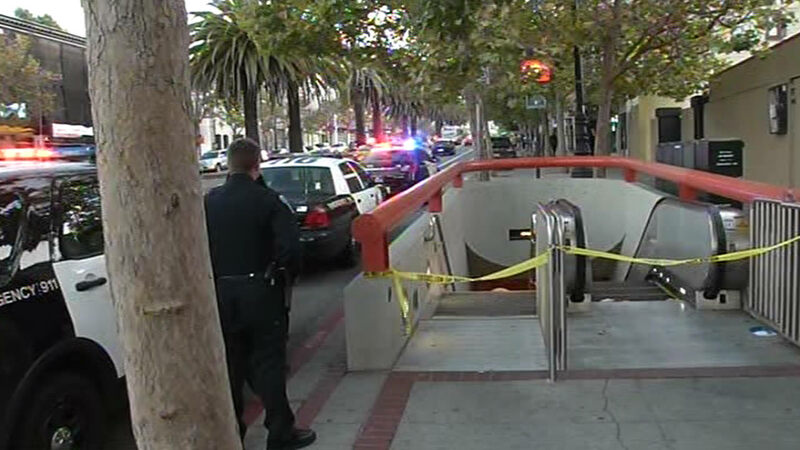 The discovery of a suspicious briefcase prompted the closure of San Francisco's Church Street Muni station on Sunday, July 26, 2015.